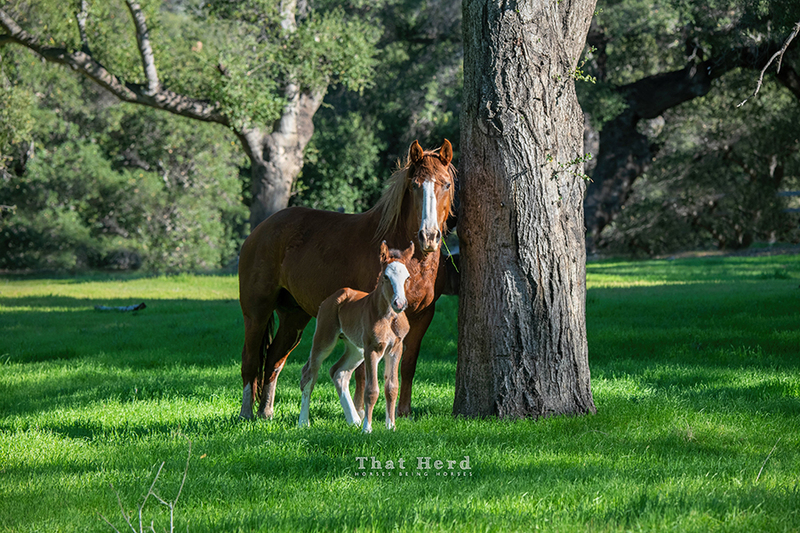 These horses are fortunate to have vast acres to roam and explore. I cannot express enough times how this allows the horses to become the very best version of themselves. They are constantly challenged mentally and physically which makes them strong and able thinkers. 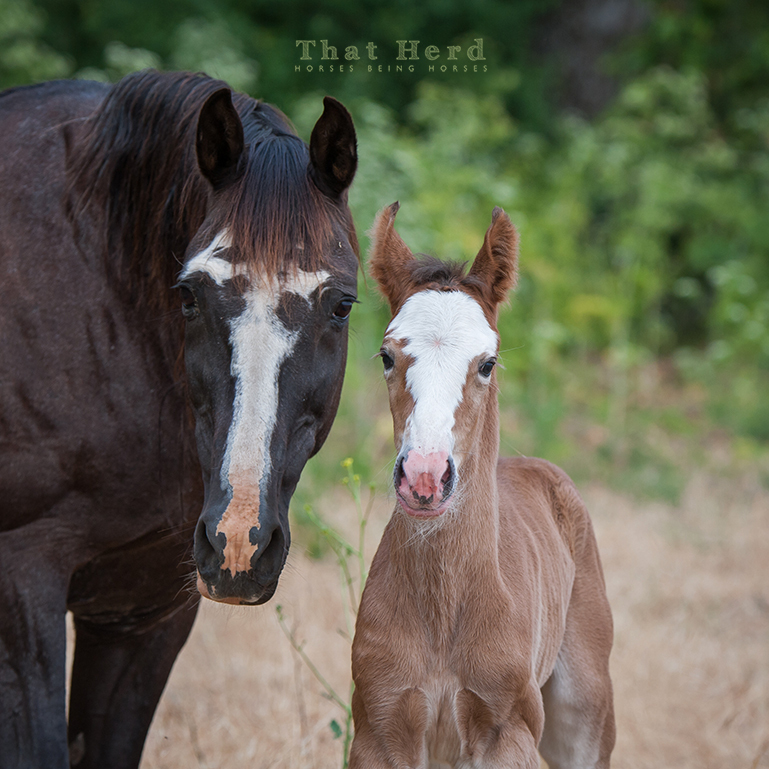 The foal is annoyed in this moment because his mother will not stand still for him to nurse. 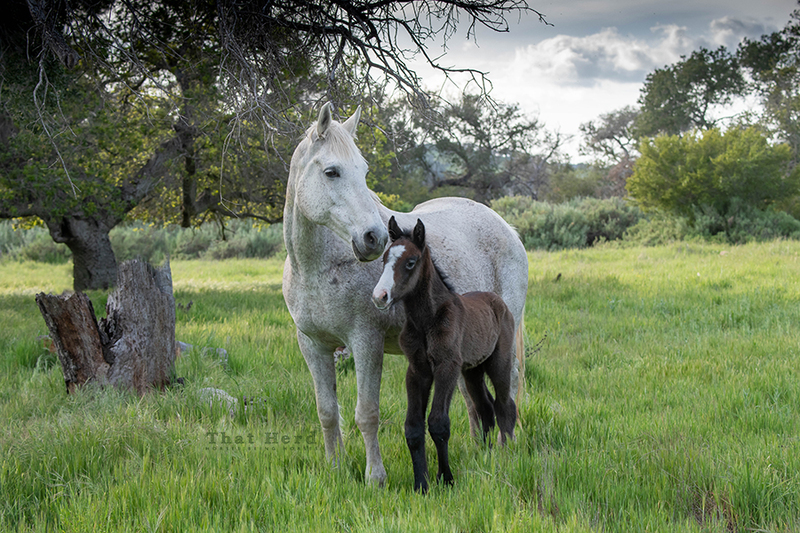 This mare and foal have room to roam. A very strong newborn who attempted to stand, even when still robed in placenta mere minutes from birth, made balance look fairly easy when he stood up. He didn’t try and fail over and over, he simply stood. He teetered briefly, then wobbled around his mother. What a champ! What a scene to fill a horse lovers heart! 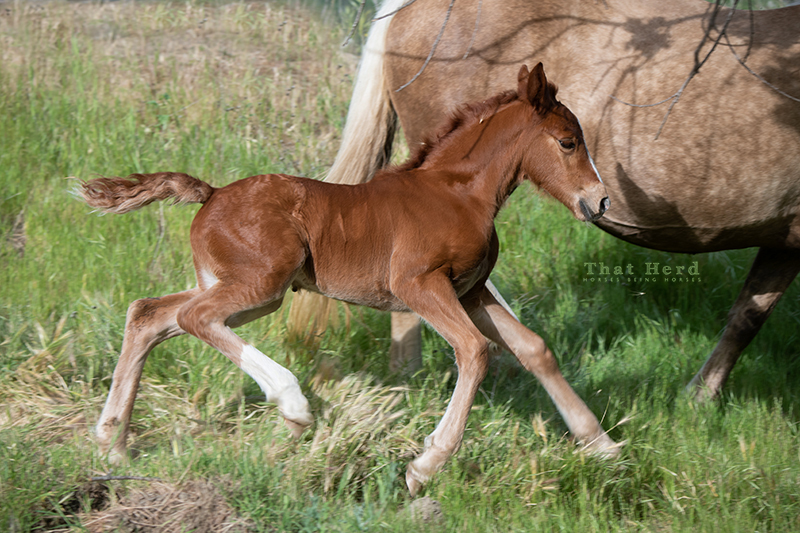 A very large, and very newly born colt, makes his first attempt at standing. (Thank you Go Daddy Support for helping me bring my site back to life). 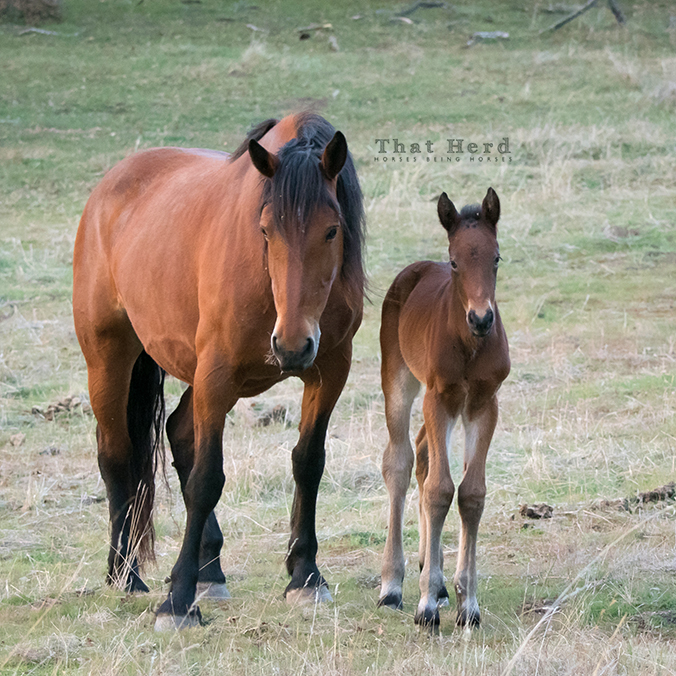 Her mother has kept her secluded for over a week, so: wary mare equals wary foal. The filly’s getaway is so quick you can see the foxtails flying through the air around her. 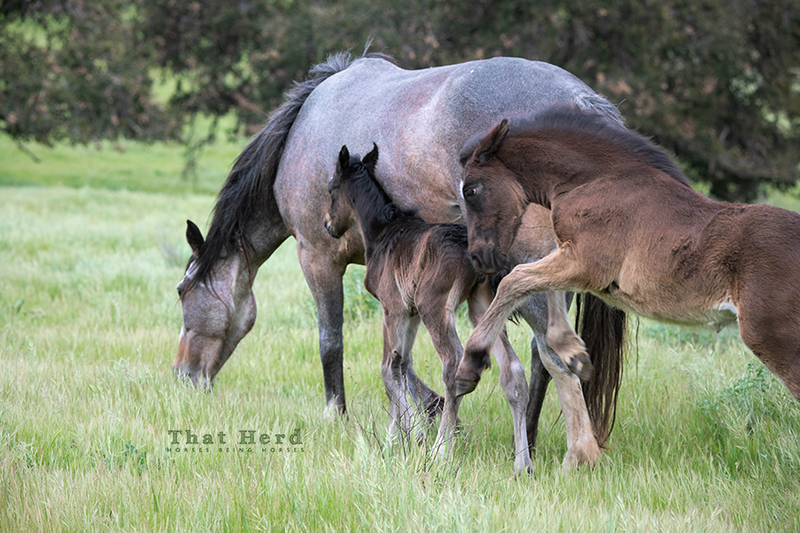 Mother has kept this new foal secluded for several days so she is jumpy about my approach. 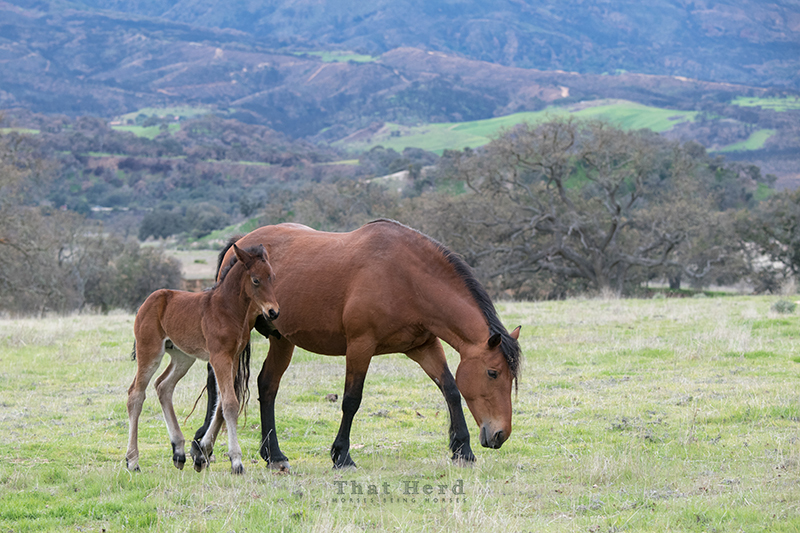 Even though That Herd horses are accustomed to my appearances, sometimes they don’t want anything to do with me. 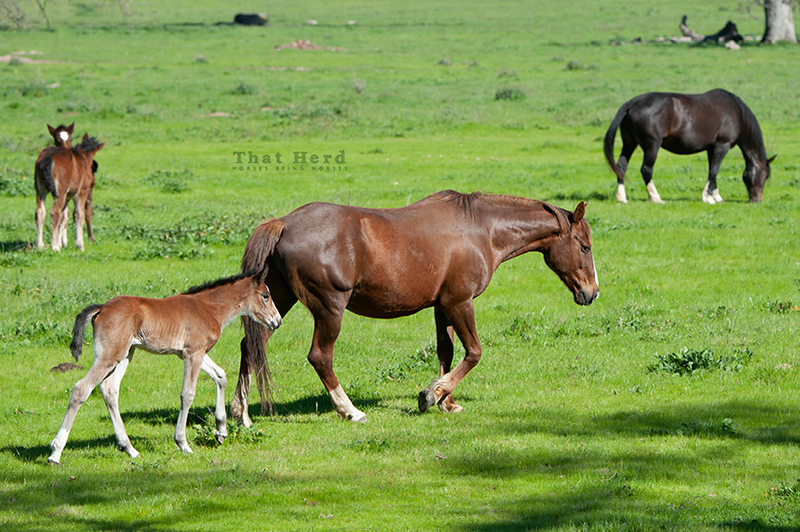 I don’t take it personally when mares keep their distance with a newborn foal. I can respect the enormous responsibility they face. In a free range environment, one cannot be too careful. In this case, her distance makes for quite a wonderful scene. It’s a filly, by the way. 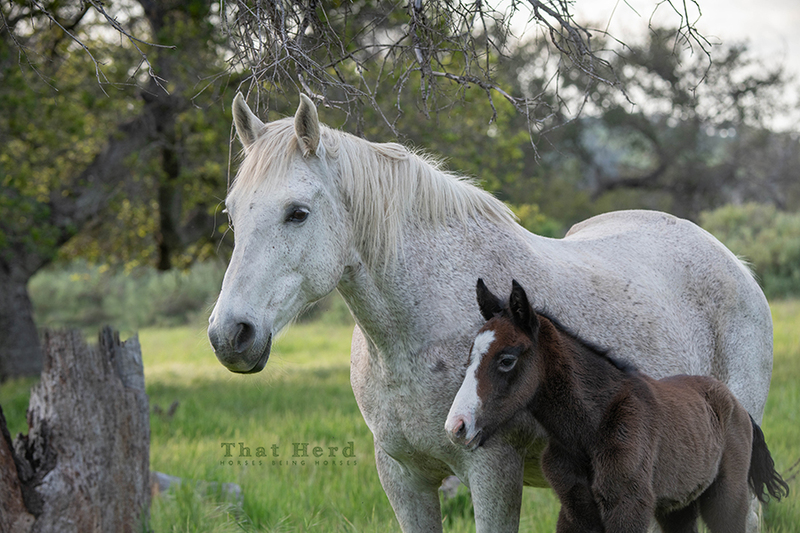 A mare keeps her distance with her one-day-old filly. 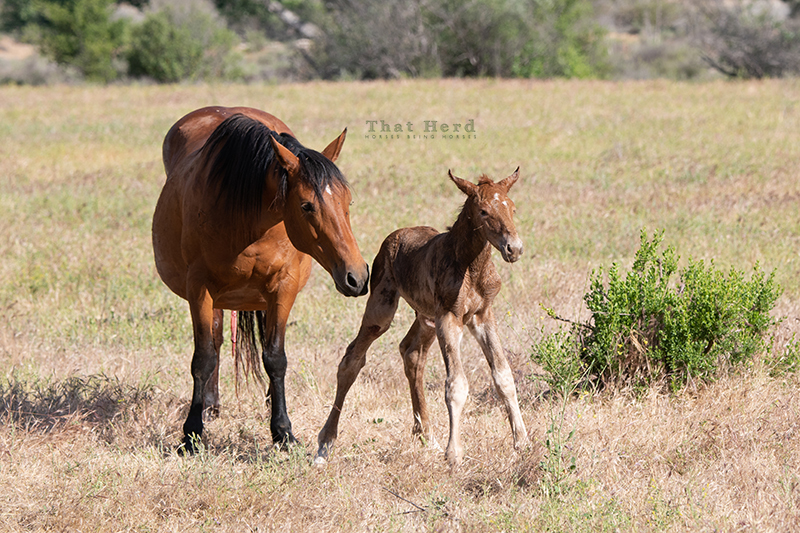 A new colt, first seen at about a week old, is doted on by his mother. She is not keen on my getting close, and moves away often. The colt amused me by making a mad face at all the horses, foals or mares, who ventured too close to him. He looks innocent enough in this image though. 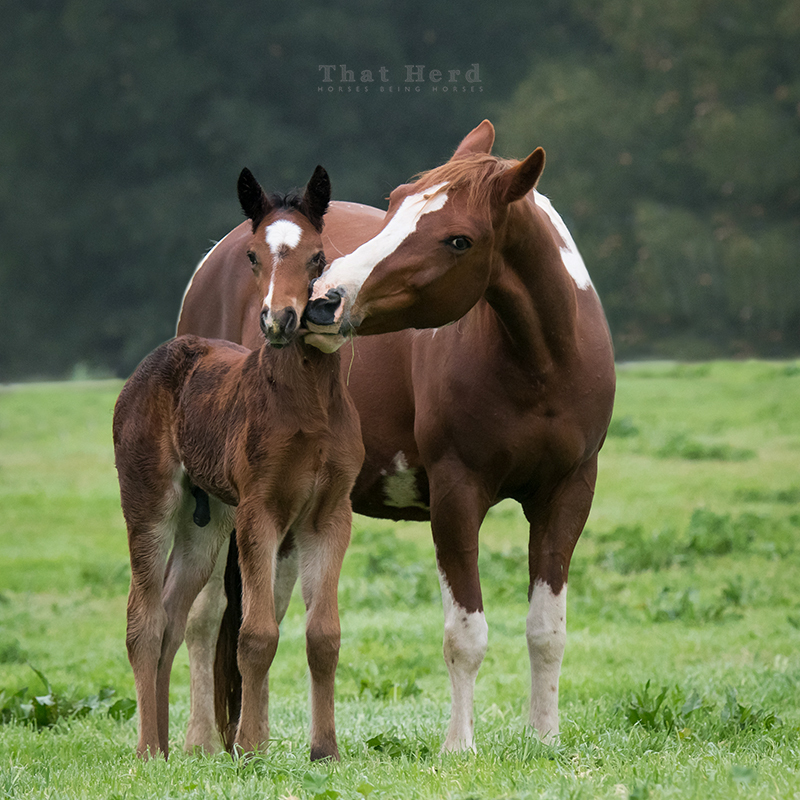 A new colt gets special attention from his mother. 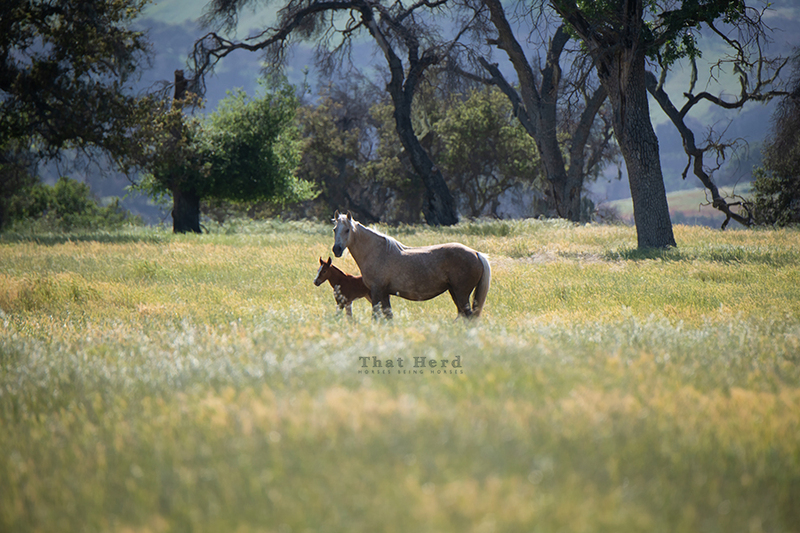 The promise of a healthy foal is fulfilled. 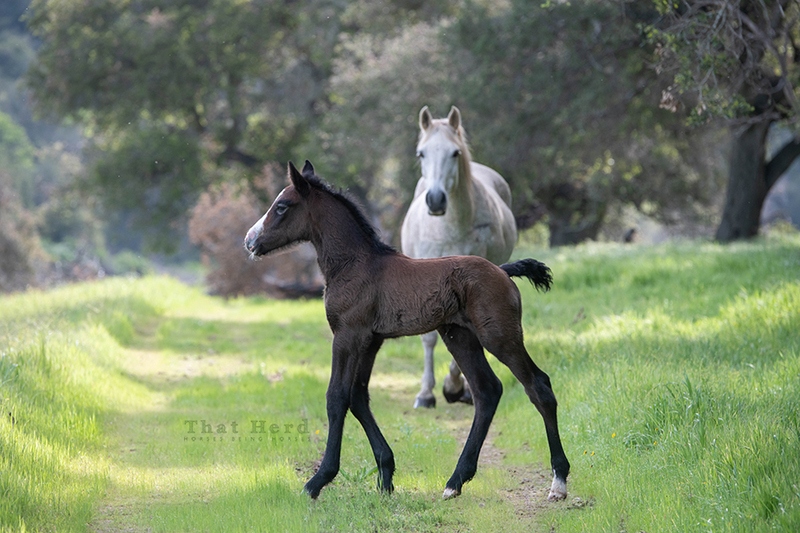 Eleven months of wondering and hoping, and then the arrival of a new foal exceeds expectations. Well done, mare. Well done. 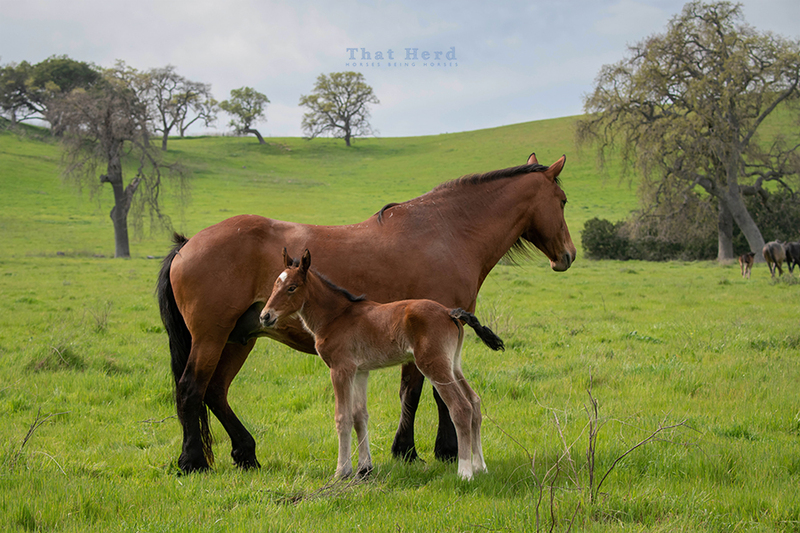 A beautiful mare and her beautiful new foal. 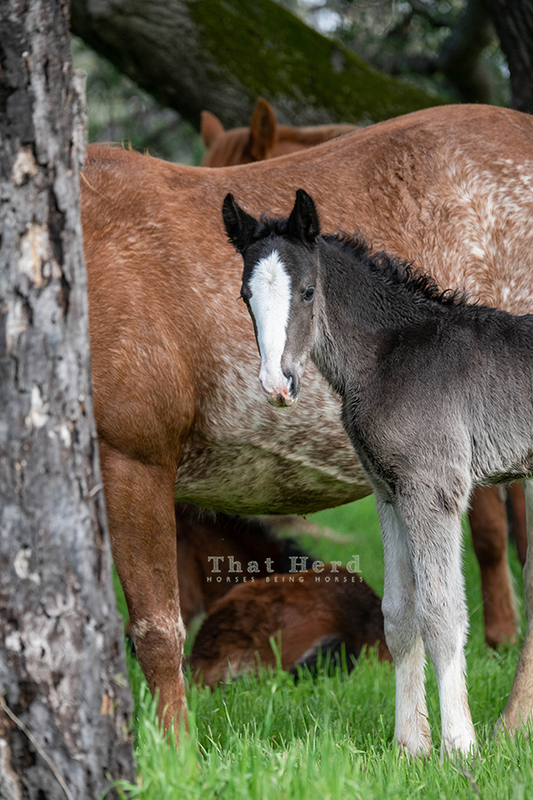 A rushed evening check on the mare herd reveals a new foal! 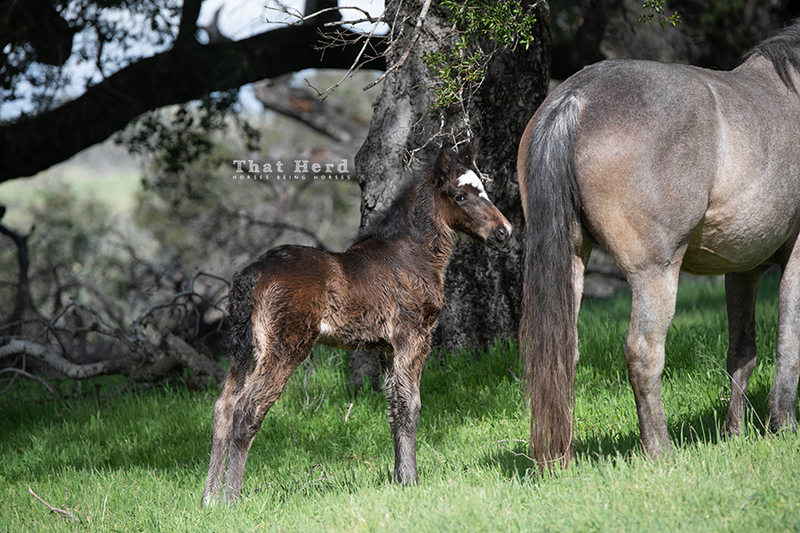 This leggy bay colt is probably a couple of days old. 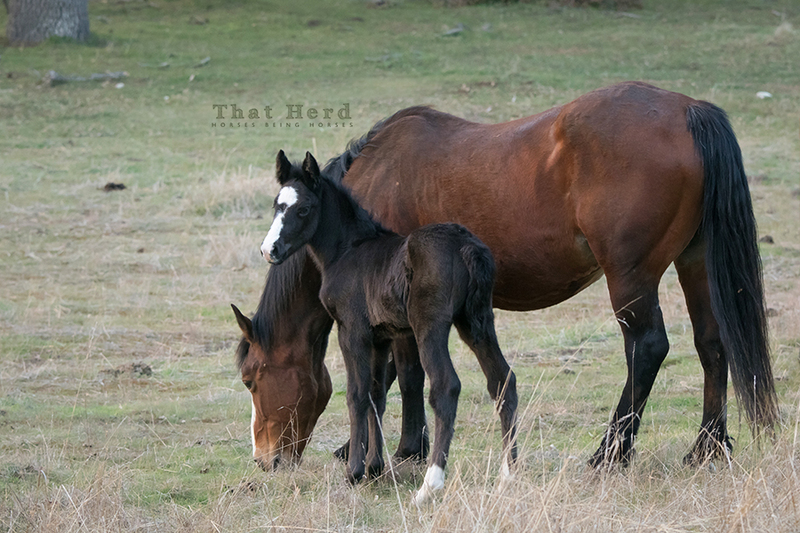 Night was arriving so I did not have a chance to spend any time observing the new foal. 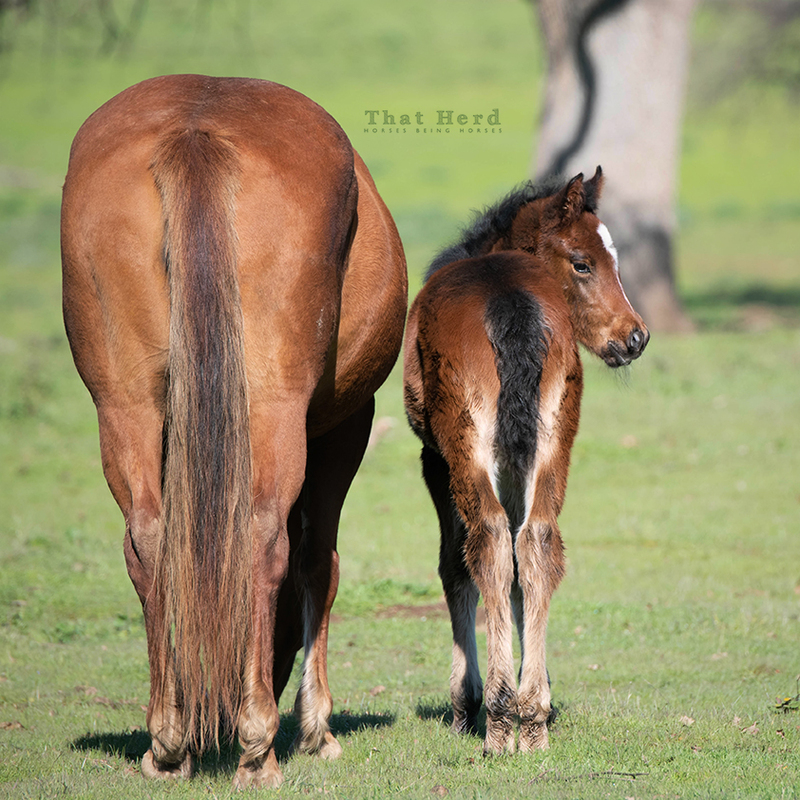 I will reveal, however, that he was not the only new foal. 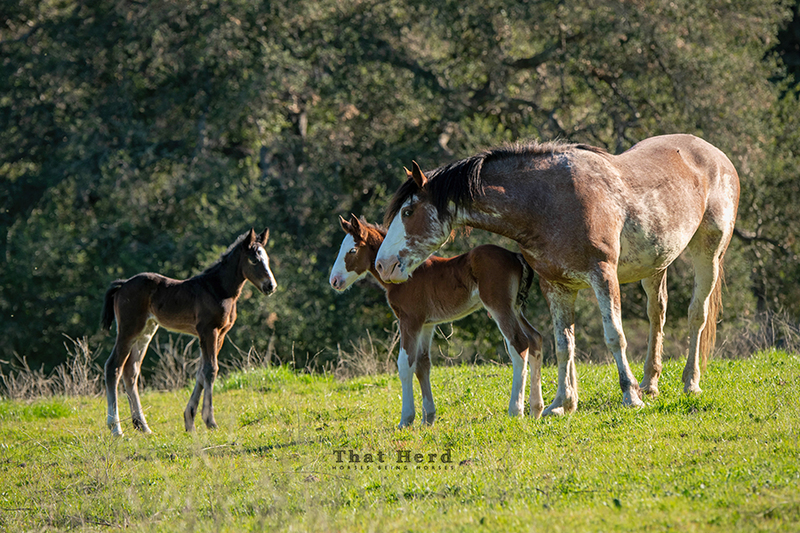 An early evening check on the mares reveals a new foal. 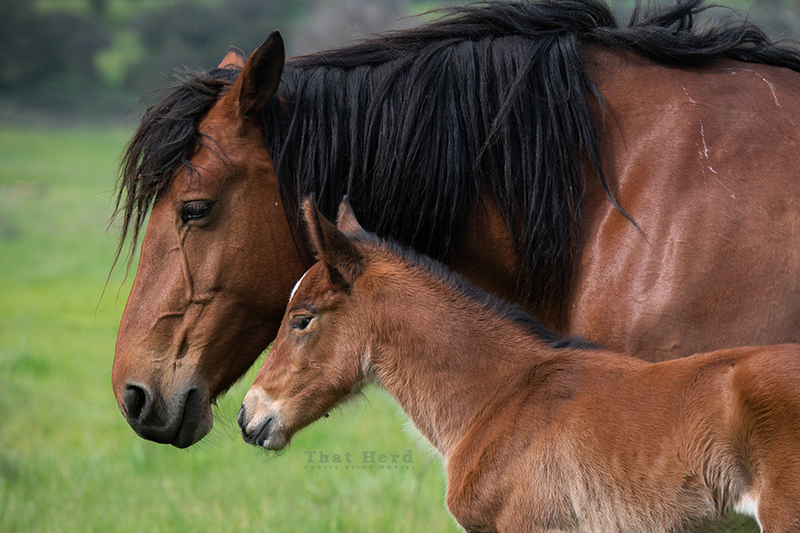 This mare is a good mother. 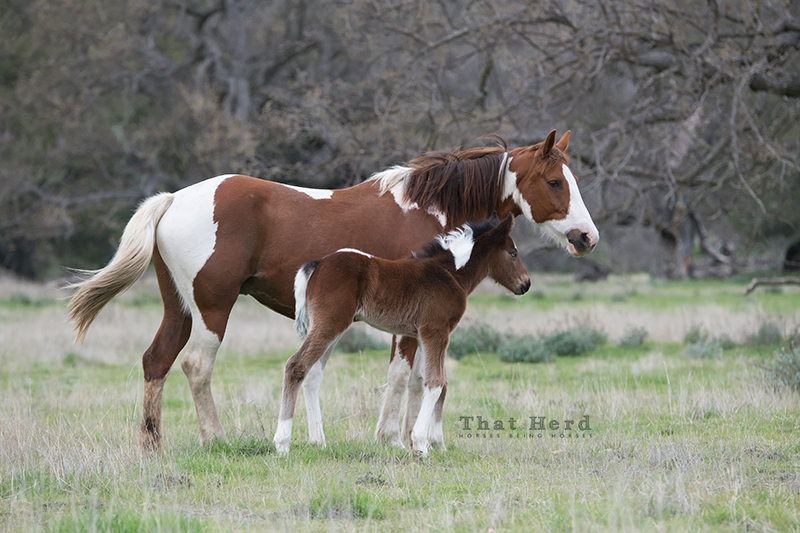 She has had many foals, and they all have benefited from their mother’s nurturing disposition. Even in this image, shortly after giving birth to a rather large filly, she looks bright and proud. 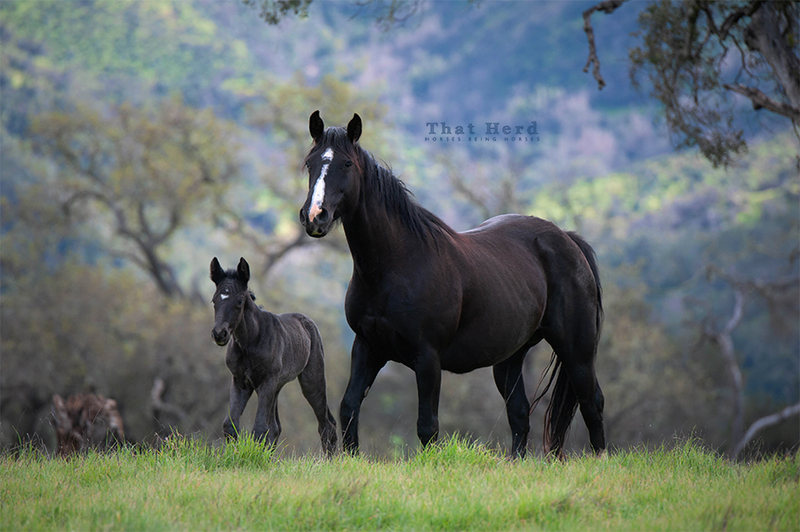 A good mare poses with her large newborn colt.